While these releases do not represent the direction the label has been developing in we are nevertheless proud of our older “children”. Feel free to order them while–in the case of physical media–supplies last! 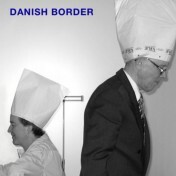 I hope you enjoy them as much as we did creating the recordings! Please be advised that in the course of ordering any media personal and billing information will be gathered by CD-Baby and PayPal. 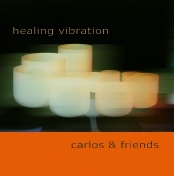 In the case of physical media we will post the disk(s) as soon as we receive notice of payment received.b lumlein CD-A001 – Healing VibrationThe mesmerizing music of the crystal bowls (played by Carlos Michael starts out softly, yet can become very intense while enveloping your entire body. It creates a multi-layered sonic tapestry, frequently interwoven with other sounds: spherical overtone-singing (Miroslav Grosser), at other times a flute (Annie Hilsberg) or monochord, the pulse of a frame- or Udu-drum. “Illuc ascenderunt” presents the most ancient repertoire of the Gregorian chant, dating from the second half of the eight century. The chants of past-Whitsuntide, taken from the liturgy of the christian mass, are interwoven with saxophone-improvisations. Heinrich Rumphorst leads the Berliner Choralschola. This puristic live-recording (with two omnidirectional microphones in an AB-setup and at a distance of 51.5 cm) was relocated to the cathedral Notre Dame de Chartres for sonic-aesthetic reasons. 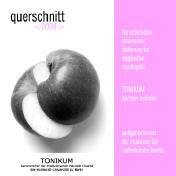 “Querschnitt” presents a cross-selection of the renaissance-based repertoire of Tonikum, the Berlin members of the European Medical Students Choir. Tonikum’s classical and modern theme-concerts, that take place regularly at the pathology-ruins of the Charité and increasingly at other interesting locations, have long become a secret tip in Berlin’s choral scene. 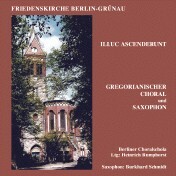 This CD was recorded with two bidirectional microphones in Blumlein-configuration on one evening at a spacious and reverberant stairway of Berlin’s Museum for Natural History. “How pleasant […] are your dwellings, oh Zebaoth! Hark the word of god!” – This is the greeting which the Sophienkirche calls out to it’s visitors, that have traverse the representative apartment buildings from 1904/05 and approach the baroque church tower. 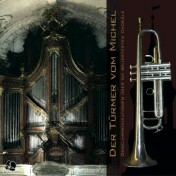 These sentiments – pleasant, representative, baroque – shape the selection of the organ repertoire on this recording. “Dear friends of the Jazzmeile and of Jazz, we’ve made it! 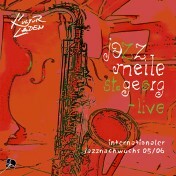 After four years of activity we have produced the first sampler of the “Jazzmeile St. Georg”! 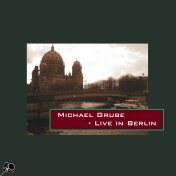 This puristic recording was tracked live at the Annenkirche Berlin-Mitte on September 23d 2005 (with the exception of the last title). 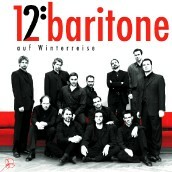 The ensemble “12baritone” consists of: Ulf Dirk Mädler, Christoph Hülsmann, Marco Bappert, Christian Palm, Nico Müller, Christopher Jung, Clemens Gnad, Thomas Franke, Lars Grünwoldt, Kai Florian Bischoff, Norman D. Patzke and Gero Bublitz, accompanied on the piano by Newena Popow. Original music by Franz Schubert, texts by Wilhelm Müller. Partially rearranged by Nikolaos Titokis. In “Zen”, wavegarden’s debut release, Carlos Michael and LeAnn Eriksson have combined crystal singing bowls and flutes in an entirely new way, inviting us on a meditative journey. The vibrations from the bowls have a deeply relaxing effect on body tissues, and the elegant musical patterns played on the smaller bowls combined with the simple, sometimes raw tones from the flutes have a hypnotic effect on our minds. 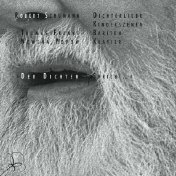 This CD presents two wonderful cycles by Robert Schumann: the “Dichterliebe” (Poet’s Love) for voice and piano, and the “Kinderszenen” (Scenes from Childhood) for piano solo. 16 songs with words by the poet Heinrich Heine belong to the composer’s most deeply felt works. Resembling tiny jewels they evoke the kaleidoscope of feelings of the poet in love, like the shimmering of light under the canopy of the woods. 12 scenes from childhood complete the circle with “Der Dichter spricht” (Thus speaks the poet). 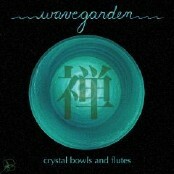 They are far more than simple tunes, reaching the complexity of a deeply meditative layer of sound. One of the most famous Lied cycles of all times, Franz Schubert’s “Winterreise” (Winter’s Journey) portraits the lonely and aimless wanderings of a man who has lost his love. It is sad, but very beautiful! 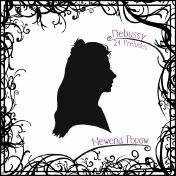 Debussy existed long before Debussy. There was architecture reflected in water. There were ocean waves rushing and abating, branches bent in in slumber, plums tumbling to the ground to bleed golden juice… All of nature murmured but indistinctly, without a human tongue to express it’s flow. A myriad of wonders have now found their interpreter. 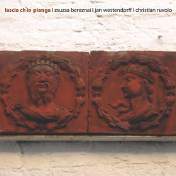 This session with arias and duets for soprano, baritone and piano, was recorded on November 07 2008 at the chamber music hall of the Musikhochschule Lübeck. The miking was puristic, with a spaced pair (51.5 cm) of omnidirectional microphones custom-built by United Minorities and two spot microphones placed under the piano (DPA 4060). There was no artificial reverb added in post. The opening concert of the blurred edges 2007, the 2nd year of Hamburg’s festival for contemporary music, was recorded live to multitrack by Andrew Levine on March 21st at the Forum Neue Musik, Christianskirche. 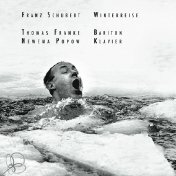 Tracks 02 and 04 are substituted from the original recordings of “Das Buch der Gesänge, für zwei Lautsprecher” (The Book of Songs, for two Loudspeakers) by Peter Ablinger. Used with kind permission. 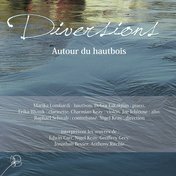 “Diversions – All around the oboe” contains a unique blend of chamber music either for or with the oboe as part of the group and was instigated by the French oboist Dominique Enon, dedicatee of several of the works. The CD presents the works of composers that have a close association with New Zealand: all were either born there, have resided there at some time or are presently living there. Additionally all works on the CD were composed after 1999, and while stylistically and aesthetically varied reflect the maturity of each composer’s musical oeuvre. 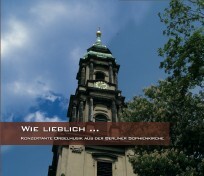 The works on the CD were presented together in a concert on March 7th 2010 as part of the 10th Festival Oboe. All of the music on the CD features Marika Lombardi, the Artistic Director of “Festival Oboe”, playing in two separate formations: a duo of oboe and piano with the pianist Debra Takakjian and a quintet with Erika Bliznik (clarinet), Joe Ichinose (viola), Charmian Keay (violin) and Raphael Schwab (double bass), conducted by Nigel Keay, the composer of one of the works. Besides being in charge of the mix and mastering of the entire album Andrew Levine recorded Nigel Keay’s “Diversions” and the three pieces from Jonathan Besser’s “Ecstasy suite” at the magnificent residence of the ambassador of New Zealand in Paris. 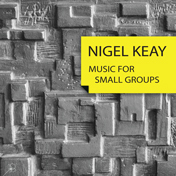 Music for Small Groups presents five works for various formations by Nigel Keay composed between 1995 and 2009. Nigel, New Zealand-born composer and viola player today lives in Paris, France. He has been composing music for over thirty years writing primarily for orchestral instruments, from small ensembles to larger groups, and often participates as a viola player in performances of his own works. 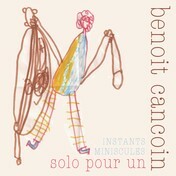 The various groups on the disc, a duo, three trios, and a quartet were formed through the collaboration of talented young French musicians and European-based New Zealand musicians. This production of the disc was supported by the New Zealand-France Friendship Fund. Ship to Europe World Germany Kiwi-special / Free shipping! blumlein CD-A027 – Leben, wie wundervoll | Life, how wonderful! 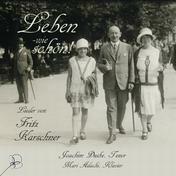 The songs of Fritz Karschner (1886-1970) were all but forgotten after the 2nd world war. 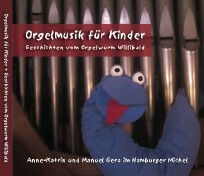 Luckily the composer’s niece did not rest until this collection was released. Enjoy the wonderful performance by Joachim Duske (tenor) and Mari Adachi (piano)! 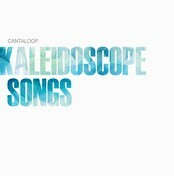 In the course of four weekends Andrew Levine produced the album by the Hamburg based a cappella ensemble Cantaloop. Recorded puristically with a central Blumlein configuration and four spots within each of the four segments the choir did an amazing job at realising their complex arrangements!